Welcome to Cooper Lace’s new website! 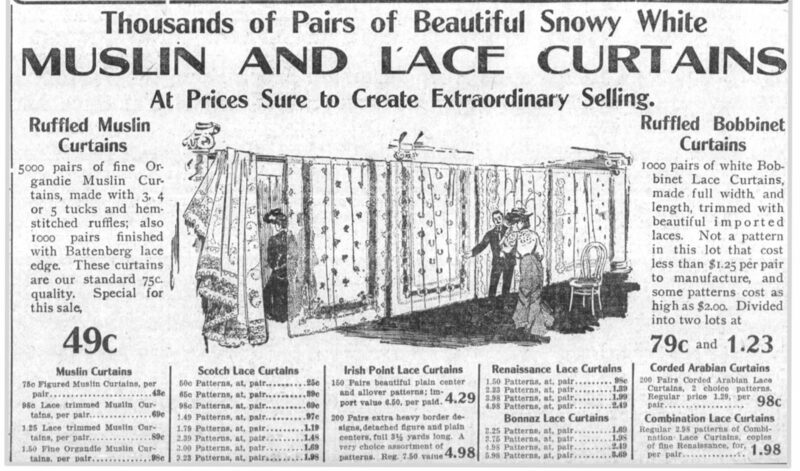 We hope you find it easier to navigate and more informative about our extensive line of historic lace curtains. The update was needed as we’ve become the largest historic lace curtain company in North America! 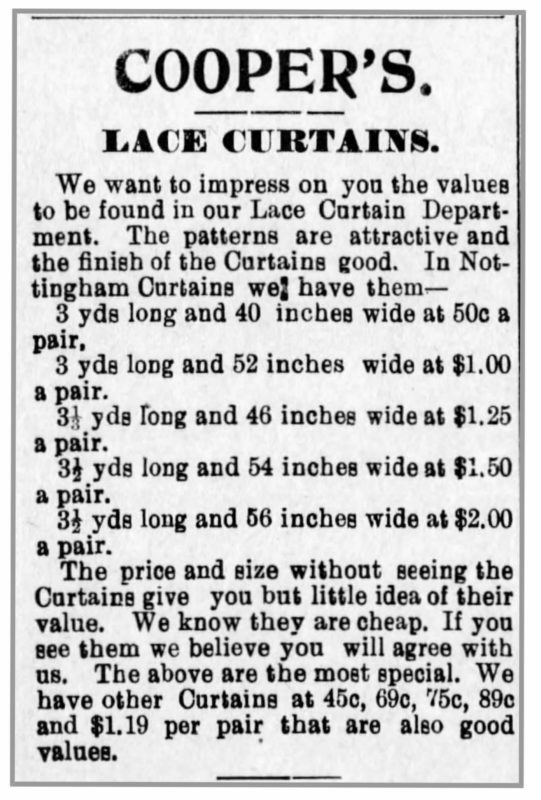 Recently, a client forwarded some old newspaper clippings of lace curtain shops from a century past; it was charming to see that there was a Cooper’s Lace Curtains back in 1910 Altoona, Pennsylvania! Of course, the prices have gone up a bit, but we strive to offer the same personalized service as that of a local shopkeeper, even as we ship to customers all over the world. I’ll be updating this blog as frequently as possible, and sharing with you interesting side notes about the projects we’re working on, tips on how to work with lace and new designs. Founded in 2007, Cooper Lace is the largest North American resource for Scottish Cotton Lace Curtains in both Nottingham and Madras weaves. This is where we keep you updated with our latest news!